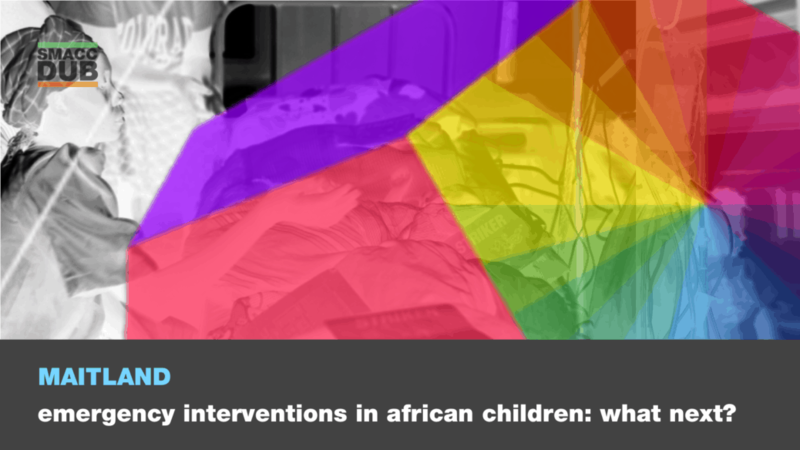 Home Emergency Interventions in African Children: What Next? Kathryn Maitland is a professor of paediatrics at Imperial College, London who is based full-time in East Africa, where she leads a research group whose major research portfolio includes severe malaria, bacterial sepsis and severe malnutrition in children and clinical trials in emergency care. Her team conducted the largest trial in critically children ever undertaken in Africa (FEAST trial) examining fluid resuscitation strategies in children with severe febrile illness, showing that fluid boluses increased mortality. She is currently conducting the TRACT trial which is investigating transfusion and other treatment strategies in 3900 African children severe life-threatening anaemia and will shortly start the COAST trial (Children Oxygenation Administration Strategies Trial) to examine the optimum oxygen saturation threshold for which oxygen should be targeted and how best to administer oxygen, by high flow or low flow, in 4200 severely ill African children. In recognition of her contribution to medical research and healthcare she was recently elected to Fellowship of the Academy of Medical Sciences.